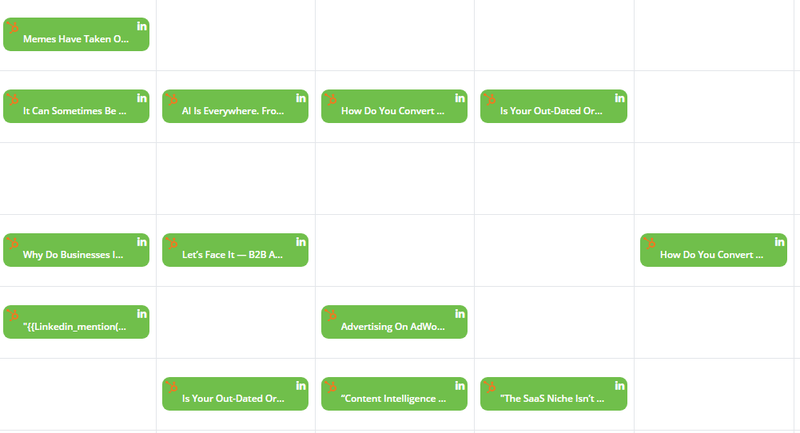 Did you know that you can automatically populate your weekly calendar with your articles? Save time by selecting the articles you want to share and let Smart Share automatically place them into your personalized best times. 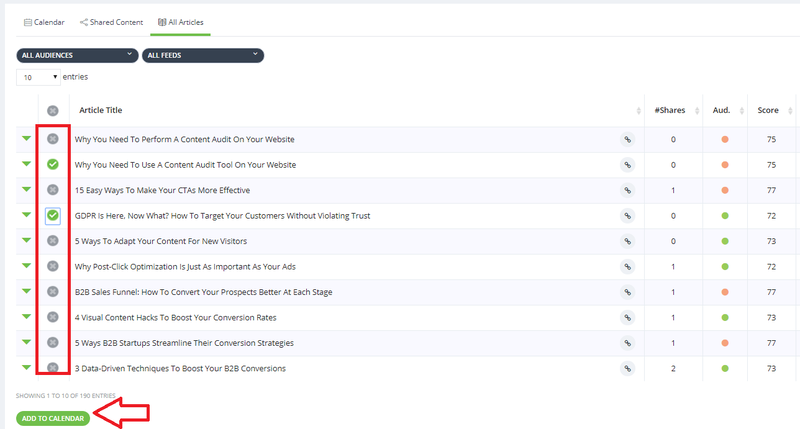 Automatically bulk schedule your articles into your personalized best times. Step 1: Select the Smart Share option above the weekly calendar or click on the All Articles tab. Step 2: Select the articles you want to share from the list of articles and click Add To Calendar when you are done. Tip: Use the score, readability, and how well the article performed in the past to determine which articles are best for sharing. Step 3: The articles are automatically added to your personal best time slots for each social network. You can go into each, add the appropriate comment to accompany the post, and approve them for sharing. Tip: posts that have not been approved are dark blue, posts that have been approved are green, and posts that have been shared are grey.